Incredible Sri Lanka is life magnified. On our 13 day small group escorted tour you'll come face to face with the fascinating sights, sounds, smells and tastes of this teardrop shaped isle, as Sri Lanka unapologetically wears its unique blend of centuries old culture and world-class sites right on its sleeve, and it's unlike any other destination on earth. 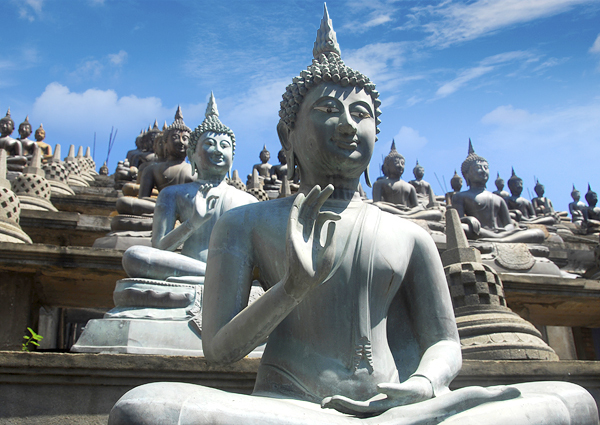 You'll visit Colombo, the verdant capital from which all other experiences radiate. You'll marvel at the UNESCO World Heritage towering rock fortress of Sigiriya. You'll explore Nuwara Eliya’s magnificent Ceylon Tea Plantations, and Yala National Park for a chance to spot elephants and leopard. These adventures are spiced with other quintessential Sri Lankan experiences including the Dambulla Cave Temples, the Ravana waterfalls, and a traditional spice garden where cinnamon, cardamom, nutmeg, and many other aromatic spices and plants are grown. Plus, NEW for 2019 we’ve enhanced our itinerary. 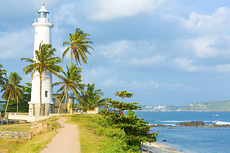 Now you will spend a night at a beachfront resort in Galle at the end of your tour. You’ll also visit the grand Kelaniya Raja Maha Vihara Buddhist Temple in Colombo, and enjoy lunch at local village house before your visit to Sigiriya Rock Fortress. Best of Sri Lanka was always the perfect blend of off-the-beaten-path adventure and the comforts of small group travel, and now in 2019 we’ve made it even better! 1. Regular check-in time is at 2pm. 1. Price is based on a minimum of 2 passengers. 2. Price is based on a minimum of 2 passengers. 1. Other U.S. Gateways on Qatar: Atlanta (ATL), Boston, (BOS), Chicago (ORD), Dallas (DFW), Houston (IAH), Los Angeles (LAX), Miami (MIA), Philadelphia (PHL), and Washington D.C. (IAD). Other U.S. Gateways on Emirates: Boston (BOS), Chicago (ORD), Dallas-Fort Worth (DFW), Houston (IAH), Los Angeles (LAX), Orlando (MCO), San Francisco (SFO), Seattle (SEA), and Washington D.C. Dulles (IAD). Your exotic journey to Sri Lanka begins today as you depart from the USA. Accommodations: 2 nights Cinnamon Grand Colombo. Included meals: Dinner. Full Day Itinerary: Welcome to Colombo, Sri Lanka’s largest city. 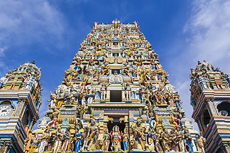 The original traders and settlers - the Arabs, Portuguese, Dutch, and British – have left in their wake churches and monuments, names and religions, costumes and food and smatterings of their languages, all of which have been absorbed into the culture and speech of the modern Sri Lankan. Colombo is a fascinating city – a happy blend of east and west, past and present, with a charm of its own. Full Day Itinerary: After a buffet breakfast at the hotel, explore Colombo on a panoramic city tour, including Gangaramaya Temple, Independence Square, Galle Face Green, and Pettah Bazaar. The Galle Face is a five hectare ocean-side urban park, which stretches for a half kilometer along the coast, in the heart of the financial and business district. The promenade was initially laid out in 1859 and has been used for horse racing, as well as golf, cricket, polo, soccer (football), tennis and rugby. The Pettah neighborhood is famous for its bustling, colorful market, a series of open air bazaars and market stalls, and is Sri Lanka’s busiest commercial area. This afternoon, visit Kelaniya Raja Maha Vihara, a revered Buddhist temple located on the scenic banks of the Kelani River. Observe locals offering lotus flowers, lighting coconut oil lamps and sprinkling purifying water at the base of the sacred Bodhi Tree. Accommodations: 2 nights Cinnamon Lodge Habarana. Included meals: Breakfast & dinner. Full Day Itinerary: After breakfast, depart for Habarana. Along the way, you will see thatched stalls and villagers selling local produce and area specialties. 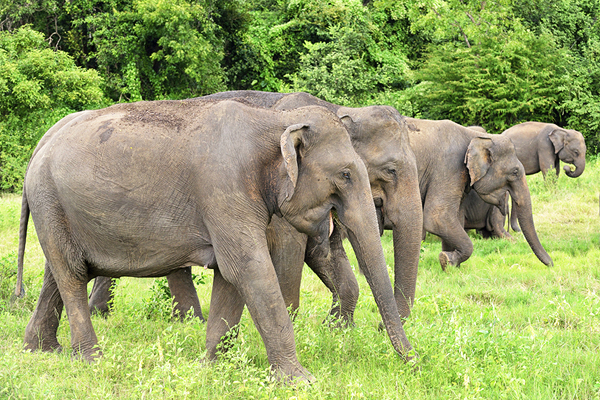 This afternoon, venture into the heart of the Cultural Triangle on a game drive in open vehicles at either Minneriya, Eco or Kaudulla National Parks, among the best in Sri Lanka for viewing large herds of elephants migrating between each park during different seasons. The parks consist of a mixed forest of evergreen shrubs, a favorite habitat for animals, including deer, a variety of birds and other mammals, as well as wild elephants. Full Day Itinerary: After an early breakfast, set out for Polonnaruwa, the 2nd capital of Sri Lanka which was built in the 11th and 12th centuries AD. Visit the museum and the extensive archaeological site. Here, you will find the ruins of the Royal Palace and the Gal Viharaya, 3 splendid statues of the Buddha in upright, sedentary and recumbent postures carved out of rock as well as ruins of famous places of worship such as the Shiva temple. Enjoy an authentic experience with lunch at a local village house. Continue to Sigiriya. 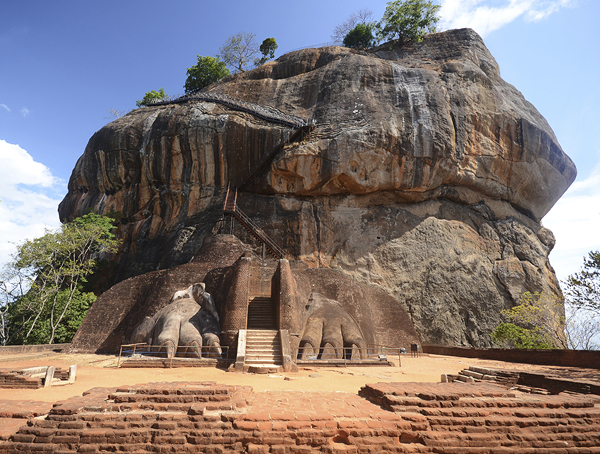 Sigiriya Rock Fortress was built by King Kassapa, who reigned between AD 477 and AD 495. The “lion rock” is a citadel of unusual beauty rising 200 meters from the scrub jungle. The rock was the innermost stronghold of the 70 hectare fortified town. The base of the rock is surrounded by a moat, ramparts, and extensive water gardens. The world-renowned frescoes of the “heavenly maidens” of Sigiriya which are in a sheltered pocket of the rock approached by a spiral stairway is one of the main attractions. Return to Habarana for dinner at your hotel. 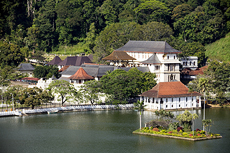 Accommodations: 1 night Cinnamon Citadel, Kandy. Included meals: Breakfast, lunch & dinner. Full Day Itinerary: Enjoy breakfast at your hotel before departing for Kandy. En route, visit the Dambulla Cave Temples, built by King Walagambahu in the 1st century BC. 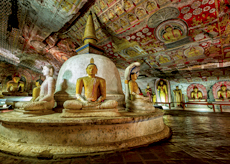 Dambulla is the most impressive of Sri Lanka’s cave temples. Consisting of a complex of five caves with over 2000 square meters of painted walls and ceilings is the largest area of paintings found in the world. The caves contain over 150 images of the Buddha of which the largest is the colossal figure of the Buddha carved out of rock and spanning 14 meters. En route to Kandy, visit the Matale Spice Gardens, where an expert guide will explain about the cultivation and processing of cinnamon, cardamom, nutmeg and many other aromatic plants and spices. Sri Lanka is one of the world’s largest producers of cinnamon and other spices, which lured ancient traders to the island. At Matale, you will also see how some medicinal herbs are transformed into powders and tablets. As lunchtime approaches, watch how food is prepared with traditional implements and fresh herbs and spices. Then enjoy a delicious, spice infused lunch together with your fellow travelers. Later continue to Kandy, the last capital of the Sri Lankan kings, where many of the legends, traditions and folklore are still lovingly kept alive. Drive around the Kandy Lake built by the last Sinhala king, King Sri Wickrama Rajasinghe in 1806. Sri Lanka’s natural sapphire and other precious and semi-precious stones are world famous. Visit a gem museum and lapidary, to learn about the ancient mining techniques, and also see the jewelers at work. This evening, witness a traditional Kandyan cultural dance show! Accommodations: 2 nights The Grand Hotel, Nuwara Eliya. Included meals: Breakfast, box lunch & dinner. 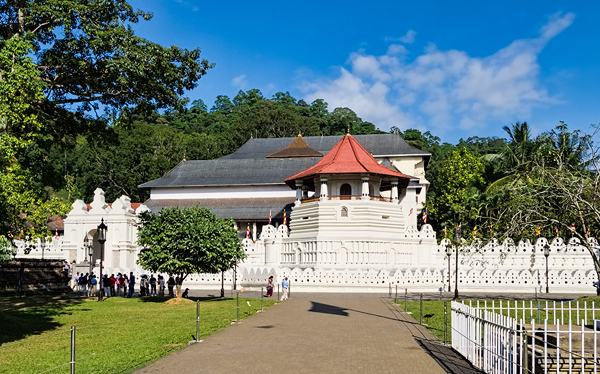 Full Day Itinerary: After breakfast, set off for Sri Dalada Maligawa, or the Temple of the Sacred Tooth Relic, a Buddhist temple in the city of Kandy. 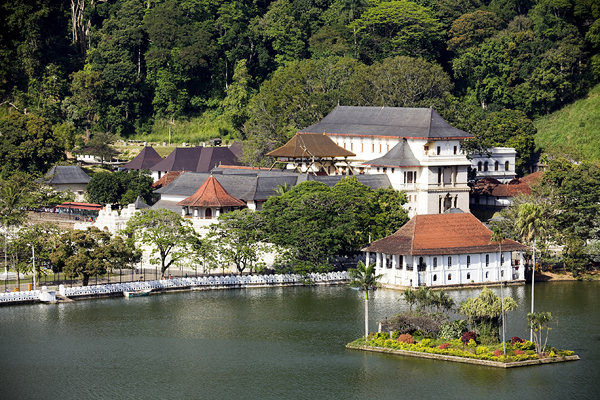 It is located in the royal palace complex of the former Kingdom of Kandy, which houses the relic. Here you will have an opportunity to observe monks as they go about their daily lives and gain an understanding of the monastic culture. Afterwards, drive to Peradeniya Station to begin a scenic train journey to the cool tea growing highlands and the town of Nuwara Eliya. Upon arrival, continue to your hotel for dinner and overnight. Full Day Itinerary: After breakfast, visit a tea plantation and factory where one of the best teas in the world is produced. 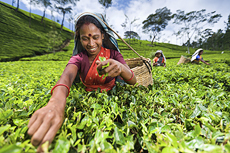 You will learn all about the process of growing, grading and processing the world-famous tea followed by a tasting of pure Ceylon tea, and a chance to buy some to bring home with you. Your next stop is Hakgala Botanical Gardens, where you will see a large variety of indigenous plants, as well as species from other parts of the world. Later this afternoon, arrive at your hotel and enjoy a traditional High Tea with all the trimmings. Accommodations: 2 nights Cinnamon Wild Yala. Included meals: Breakfast & dinner. 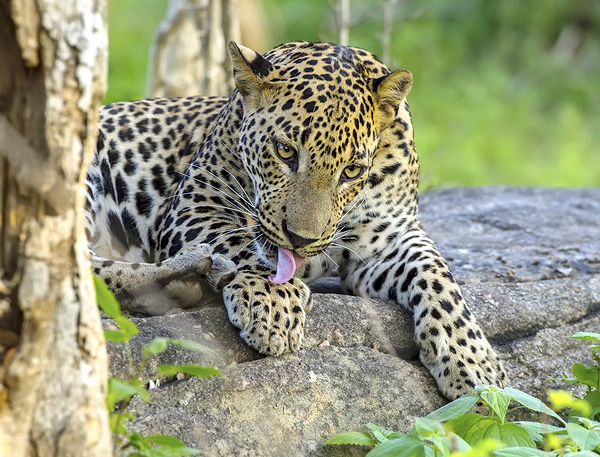 Full Day Itinerary: After breakfast, depart for Yala, home of one of the largest national parks in all of Sri Lanka. Along the way stop to view the Ravana Falls (popularly known as Ravana Ella), a popular attraction considered one of the widest falls in the country. 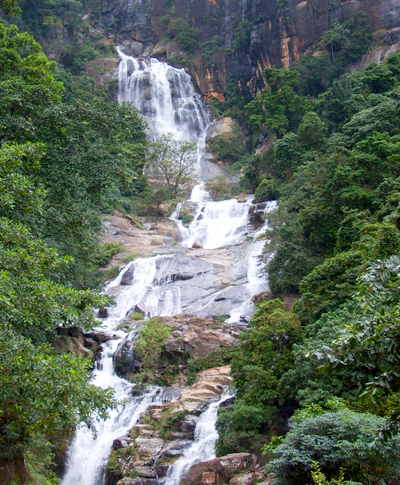 The falls were named after King Ravana of the famous Indian epic, the Ramayana. According to legend, Ravana (the king of Sri Lanka at the time) had kidnaped Princess Sita, and had hidden her in the caves behind the waterfall, now known as the Ravana Ella Cave. En route to Yala, stop at a pirivena, a monastic college for the education of Buddhist priests in Sri Lanka. Here you'll learn more about the life and practices of priests and their significance in Sri Lankan culture. Continue to Yala for dinner and overnight. Full Day Itinerary: Yala, located in the southeastern corner of the island, has a varied terrain with flat plains alternating with rocky outcrops. The vegetation ranges from open parkland to dense jungle. 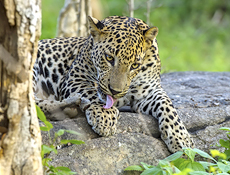 Yala is home to wild elephants, boar, and buffalo, as well as the elusive leopard, bear, deer, and crocodiles as well as large flocks of migratory and indigenous birds. Wake up early, and after some coffee and tea, depart on your first game drive returning in time for breakfast. Then, relax and enjoy the facilities at your hotel until it’s time to depart on your afternoon game drive! Accommodations: 1 night Amari Galle. Included meals: Breakfast. Full Day Itinerary: This morning, continue to Galle and view Galle Fort. Located in the Bay of Galle on the southwest coast of Sri Lanka, the fort was built first in 1588 by the Portuguese, then extensively fortified by the Dutch during the 17th century from 1649 onwards. Walk along the ramparts and the streets of this very pretty colonial town. Enjoy the remainder of the day at leisure to explore this exotic town on your own. You'll find this town is much more than a lovely place to visit. Sit down and people watch at one of the town's cafes, browse the many boutiques and enjoy the splendid ambiance in this seductive setting. Accommodations: 1 night Cinnamon Grand Colombo. Included meals: Breakfast & dinner. 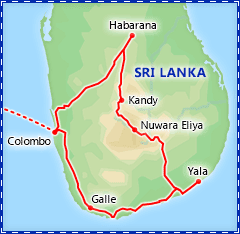 Full Day Itinerary: This morning, return to Colombo. En route, visit a traditional mask factory where the colorful masks traditionally used for festival dances, each depicting a character from various folklore, are carved. The masks made here are also highly prized collectables. Later this evening enjoy a farewell dinner with your fellow travelers on your last night in Sri Lanka. 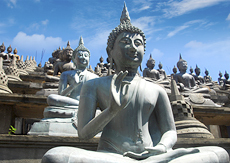 Optional Excursion: Walking Tour of Colombo with Mark Forbes, $45 pp. After checking in to your hotel in Colombo, join native Dutch resident and passionate photographer Mark Forbes or one of his associates, on an in depth walking tour through the city of Colombo. 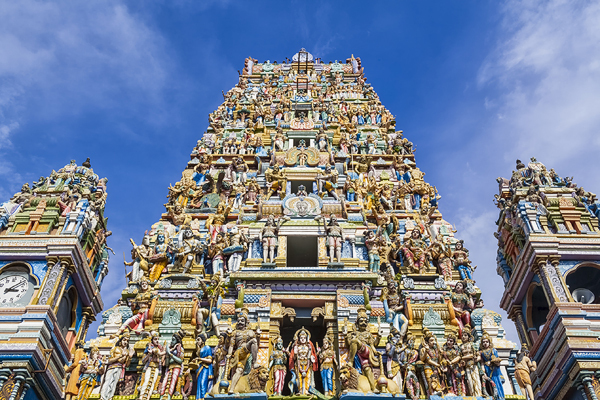 Get a personal view of the sites and hear stories about ancient Colombo compared to the present. Your journey starts at the Old Dutch Hospital, a colonial treasure and former hospital from the 17th century which is now home to a number of high-end restaurants and boutiques. Continue into the commercial hub of Colombo Fort, away from the tourist hotspots, and learn about the colonial buildings and important monuments whose stories have helped shape the Colombo of today. Time permitting, you will be lead to the bustling Pettah Bazaar. The bazaar is both a wholesale and retail market place, selling everything from trinkets to textiles, from vegetables to electronics and of course, plenty of spices. Check-out from your hotel and transfer to the airport for your return flight to the USA. Late check-out is included until 9pm. Amari Galle is a luxury 5-star beachfront resort located a short distance from Galle Fort. Enjoy modern comforts within the resort, or step outside for calming views of the sea. 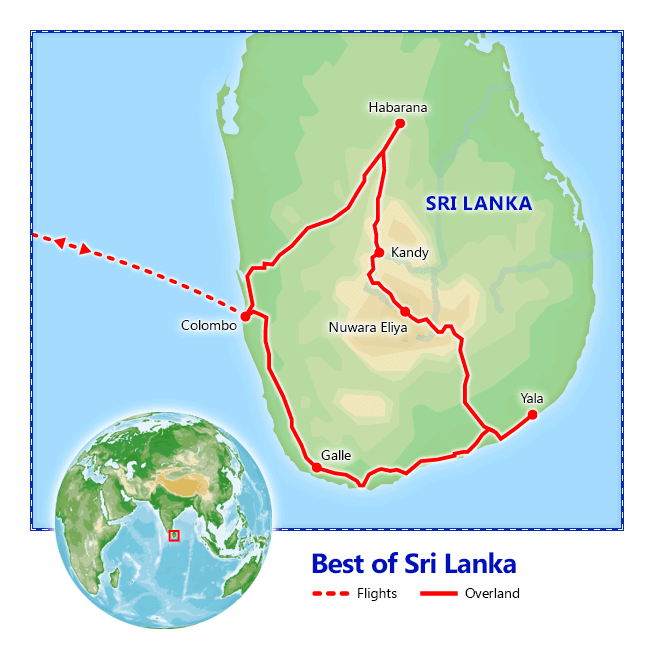 What should I know about Sri Lanka? Check out our guide for travel tips, the best time to go, blog posts, videos, and more.